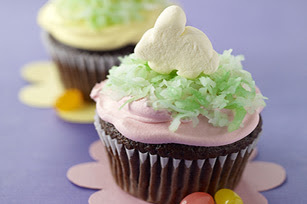 I am so tempted to try to make these for Jemma's party, but I don't know how the coconut would go over! Maybe a green swirl of frosting on top and then the bunny. Hmmmm.... great post!